At Café Pettirosso we offer a variety of authentic pastries sweet and savory, special creations hand made for your event. Our bakery has a variety of delicious flavors, with a variety of styles and designs. From fresh flowers to sugared fruit, we'll work with you to make sure the most important cake of your life tastes as wonderful as your union. In addition to our traditional offerings, we also have a variety of options available if you are vegetarian, vegan, gluten-free or dairy-free. We strive for excellence to create the best experience for your special occasion. 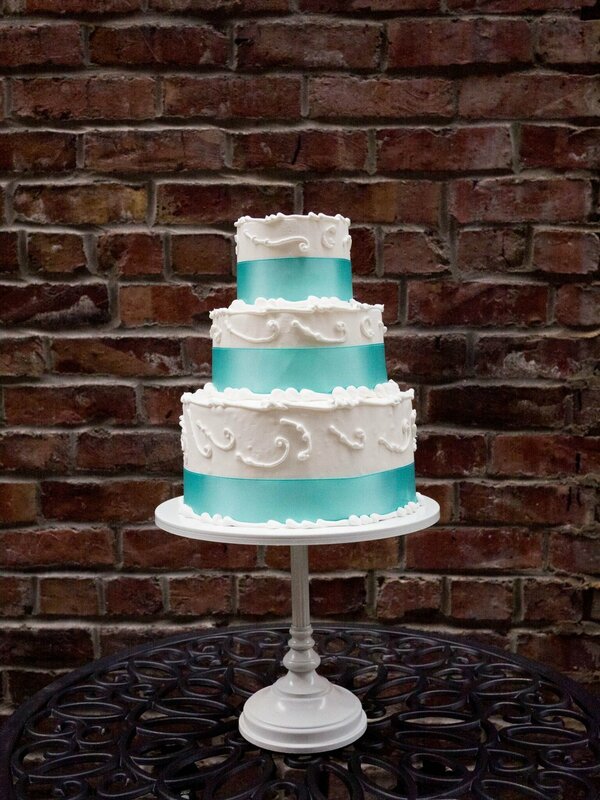 email bakery@pettirossoseattle.com to schedule your cake tasting!!! Special Event Cakes are $6 a slice. This is a base price for traditional butter cream frosting/piping. We can provide circular or square tiered cakes in 4" to 16" for your event. Additional fees may be added for special requests, which we are happy to accommodate. If you wish to order a sheet cake in addition to your wedding cake the price per slice is $3.50. Sheet cakes are great for large catered events as it is easy for slicing and flow of service. This is a base price for traditional buttercream frosting/piping. Some additional fees may be added pertaining to special requests. Additional fees for out of season requested flowers and other special requests. Within Seattle proper we charge $50.00 per hour of travel time there and back. If further than Seattle proper special fees apply. Depending on your event we have cake stands available for a deposit of $65.00, when the stand comes home your deposit will be returned. We can also work with the caterer to create a special focal point with their inventory. Cake pillars and support structure requires a $20.00 deposit, fully refundable upon return. The cake arrives 2 hours prior to the event and final and final decorations will be done on site if necessary. Please keep Event cakes out of heated rooms and direct sunlight. Cake is best served at room temperature, with the exception of vegan cakes. Cake Tasting will consist of your choice of 3 varieties of cake. There is a $25.00 charge for the consultation, which will be put towards your final cost of your Special Event Cake. Additional flavors (up to 5 varieties) is $40.00. Café Pettirosso requires 50% down on all specialty Event Cakes and 50% two weeks prior to your event. If you need to cancel please do so two weeks prior to your event and we will refund your 50% payment. After two weeks we will charge you the 50% payment fee. For any additional questions please contact us at Café Pettirosso 206-324-2233 or at info@pettirossoseattle.com. Our Pastry Chefs will gladly assist you and answer any questions you may have. Thank you for choosing Café Pettirosso to be part of your special day! P.S. Want to have your wedding at Café Pettirosso? Contact us for more information!